Melissa’s profile on Blogger has been viewed almost 10,000 times since she joined in October 2004. That’s because her blogs tell stories about gardening, fabric dyeing and how to make garden art from junk. She blogs about the birds and the bees, and about motherhood and vegan food, and she has an empire of dirt from which all this goodness grows. Empress of Dirt is a personal garden and nature site, with some life philosophy and humour thrown in. Melissa is the first to admit that she has little gardening or nature expertise, but she loves the outdoors and paying attention to how it thrives. And, she explains, “if you put a bunch of plants in the ground, they eventually get huge and fantastic looking.” And her blog nourishes that truth. Back in 1999, Melissa had an online business selling hand-dyed fabrics, and it was through her monthly newsletters that she started sharing funny anecdotes from her home life. The response from readers was so favourable that she turned the stories into a daily blog entitled Pioneer Woman With Cell Phone. The blog revolved around motherhood and the antics of her family members. For a few years, the blog was a fun place to write for Melissa. But eventually her oldest daughter became self-conscious about being included in her mom’s posts, and asked to be kept out of it. “Gasp! That was the end of my best material! I continued blogging but it seemed muted to leave her out, but I had to respect her wishes…” And so, she shifted her blogging efforts to a new site, and Empress of Dirt was born. Blogging comes natural for Melissa; she’s a compulsive photographer and loves to write. Her pictures are beautiful before Photoshop, and impress folks interested in gardening, flowers or rare butterflies. 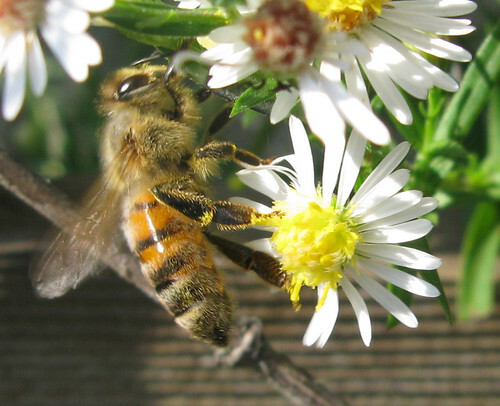 In a recent post named brown bees, Melissa posts images of honey bees collecting pollen. The pictures are filled with wildflowers and green leafy plants and natural medicine helpful herbs. Even in her more humorous posts, such as guess who caused $279 damage?, her snapshots show the beauty of nature at a close range. 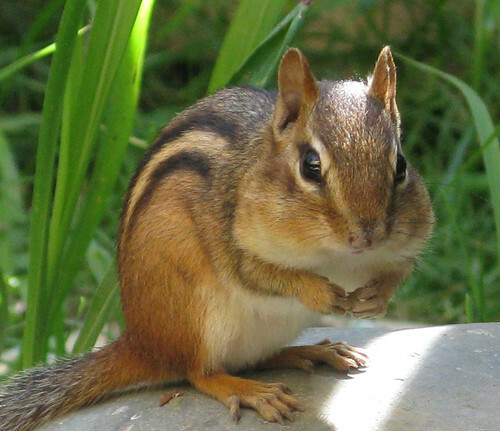 She truly has a great eye for capturing the essence of her subjects, like this mischievous chipmunk.